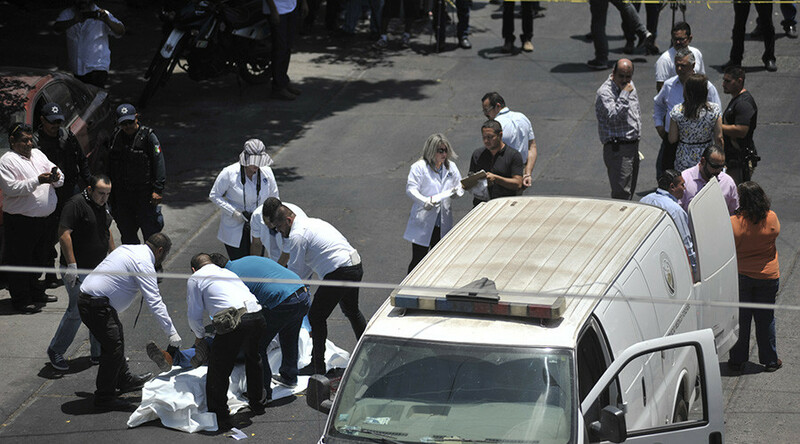 Mexico recorded more than 2,000 murders in May, the highest monthly homicide rate in 20 years and a bloody milestone in the country’s continuing war on drugs. As some cases involved multiple killings, some 2,186 investigations were set up for a total of 2,452 murders – an average of three people killed every hour. The previous monthly high for murder probes was 2,131 in May 2011. "This is the overwhelming and absolute failure of [Mexican President Enrique] Peña Nieto's public safety policy," Alejandro Hope, a Mexican security analyst, told BuzzFeed News. Analysts put the surge down to increased demand for heroin in the US. Others believe that the legalization of marijuana in some US states has caused cartel profits to fall and has led gangs to generate cash through extortion and kidnapping. Last month, the federal government announced that it had captured or killed 107 of its 122 top criminal targets since President Nieto took office in December 2012. But some have questioned Nieto’s tactics, believing their success leads to increases in violence as gangs battle to fill the vacuum left by neutralized crime bosses. "The recent return to 2011 murder rates is a symbolic moment – President Enrique Peña Nieto started his administration promising a less militarized approach to the fight against drug cartels, a step away from the 'war on drugs' strategy," the Britain-based International Institute for Strategic Studies said in a study on countries conflicted with armed conflict. "But Pena Nieto is nowhere near fulfilling his original plan of reducing the military presence on the streets. On the contrary, the go-to solution to the recurrent security crisis has been the dispatch of federal forces, frequently military ones, in place of inefficient, badly equipped and often corrupt local police forces." The country has had 9,916 murders in the first five months of this year – an increase of 30 percent for the same period last year. Rival factions have been battling for control of the drug cartel in the western state of Sinaloa since its kingpin, Joaquin "El Chapo" Guzman, was extradited to the US in January. Some 154 people have been killed in the conflict, the highest number in six years.